A two-part exhibition at James Madison University, Moved By Water encourages contemplation and conversation on the significance of water in the ecology of our lives. Through reflection and mindfulness practice, it seeks to make a connection between developing an internal empathic relationship to water with the need to take external actions to change how we live on the planet. 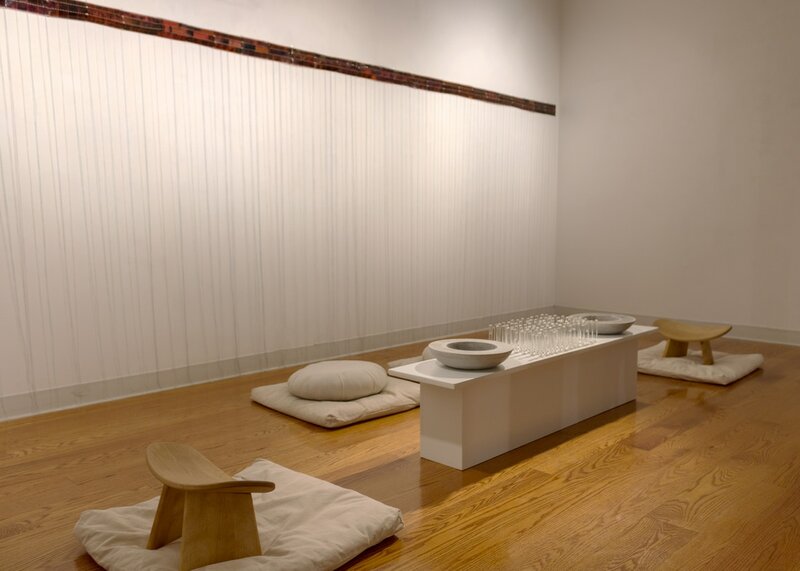 At The Water Table is an interactive installation allowing viewers to witness and participate in a sitting meditation with the intention of reflecting on water. At each seat, visitors will find paper to write on and place into the bowls the name of a water source providing them with nourishment, solace, joy, renewal or memories — or the name of a place experiencing a water crisis. This is a way to enter the meditation with a personal connection or intention. The test tubes filled with water from Blacks Run, which flows alongside the gallery, serve as a reminder to reflect back on water when the mind wanders. Please sit for as long as comfortable. The act of being still and focusing attention on this one element hopes to provoke deep listening and dialogue on greater awareness and care for the water that sustains all of us. Knowing Your Water is constructed from a salvaged 16-foot Mad River Canoe transformed into a lit vessel with an illuminated cover of hand-stitched photographic negatives. 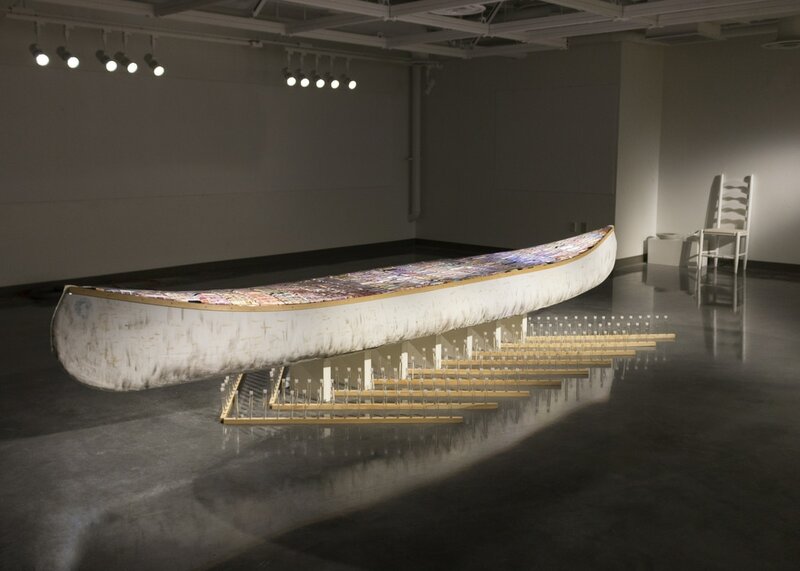 Surrounding the canoe are rows of test tubes, holding water collected from river, lake and ocean waters that have been the source of nourishment for the artist throughout her life. The intimacy of the memories embedded in the photos represent a capturing of the relationships that sustain as well. Both are a way of holding time for examination, a chance to consider and change course before being carried toward our destination.